I have said many times that certain things are just ‘not Jewish’. One of those things is hatred. Jews traditionally were in the forefront of struggles throughout the world to combat hatred, segregation, apartheid, wars, anything that oppressed people. How then did a total turnabout take place wherein the ‘Jewish State’ became the champion of all the aforementioned evils plaguing humanity. It is something that I as a Jew, as an Israeli am totally ashamed of. I let that be known through any media possible and struggle daily to end the situation. This is demonstrated daily through my posts on this Blog, where my positions are well known. Today on the Ynet Website there was a most welcome article written by a well known Israeli author and film critic. Yoram Kaniuk is not considered a leftist, never actually dabbed in politics at all, but the article he wrote will hopefully be an eyeopener for others in the zionist camp. Where is our justice going? It’s being trampled on. It’s getting lost. A man whose only crime was to illegally enter Israel heard in prison that his young daughter was killed by the IDF. He asked to see her for the last time. He wasn’t allowed to attend the funeral. 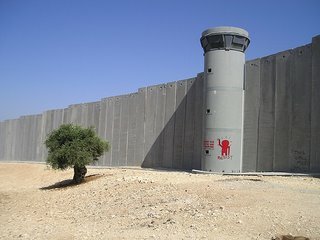 When President Carter, who was never a friend of Israel, writes that what we are doing in the Territories is similar to Apartheid, everyone cries out in protest. Yet he wasn’t far off from reality: Our behavior is worse than that prevalent in South Africa at the time. It’s unpleasant to say this, but this is the way it is. Ever since the days of Mofaz as army chief and defense minister, the order is to abuse, kill, humiliate. The roadblocks are not between the Palestinians and Israel, but rather, aimed at making their life difficult. A 15-year-old boy was arrested and held in custody for several months without trial. After that, they just released him. Left him without a penny in his pocket near a roadblock in the middle of the night. Officers are serving as judges and they create gross injustice. I haven’t been a leftist for years, because I don’t believe the Arabs would ever agree to share this country with us, and I believe in the Jews’ right to a national home and a state in our historic homeland. Yet what we’ve been doing with this dream borders on the criminal. Who will protect us Jews who think we’re right, a virtual defense minister with a real mustache? A cowardly army chief who doesn’t know how to lose honorably after he screwed up a war and was beaten by Hizbullah? Where’s the prime minister? Do the ministers even know what my daughter and her friends see every day? The kind of injustice we’re creating there? The killing. The hatred. The beatings. The humiliations. What will all this bring? Will we have fewer Qassam rocket attacks? Will there will be no more terror attacks if an elderly woman cannot reach the hospital? We’ve become a violent, heartless society. We’re killed at crosswalks because no car driven by an Israeli would allow someone limping with a walking stick to cross the road. What has happened to us? After all, back then when I was a youngster we had to establish a state. We had no weapons, and we were hungry. We fought every night with toothpicks stuck in our eyes so we wouldn’t fall asleep. Yet we established a country. Today I’m ashamed of the country that I helped create as a soldier. Jewish rabbis are sanctifying injustice and ugliness and the killing of innocent people. Our young men enjoy shooting every Arab who passes by simply because they’re bored. Yes, I still stick to my tragic belief that only a Jewish state would solve the Jewish tragedy and that there’s no chance for two states for two people, but this is why we need wisdom, reason, restrained force, and not just mere killings, shame, a walking nightmare and a cold heart. Our intelligent young people are leaving the country. For most of them the reality they see is a harsh one. Those who remain here are violent and indifferent, yet we, who do not wish to renounce the Zionist dream, see how with every passing day it becomes more wicked and cruel. In the festival of wickedness we’re playing, we disappoint those who contiued to dream when the situation was bad and dangerous. Such a situation may return. We have a history that dates back 2,000 years. Perhaps it will become dangerous again, and Jews will be killed, but this time there will be no more idiots like ourselves who will establish a state for those who behave like a herd of monsters. And thank you Ben for assisting me in presenting my posts in such an artistic light. An excellent article. Thanks for posting it. I think I’ll send it on to a Jewish friend here who has a one dimensional view of the conflict, and believes Israel can and does, no wrong. Thanks Julie… good to know my posts are appreciated.